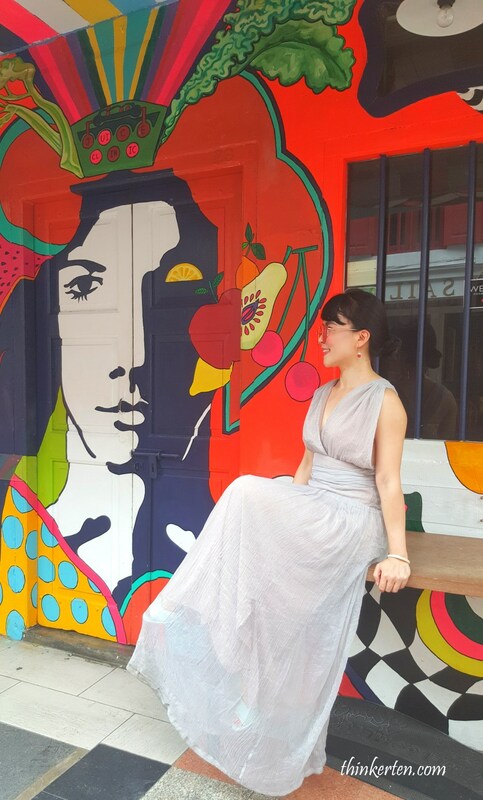 It was a wonderful discoveries on the Malay quarter in Singapore few weeks ago. 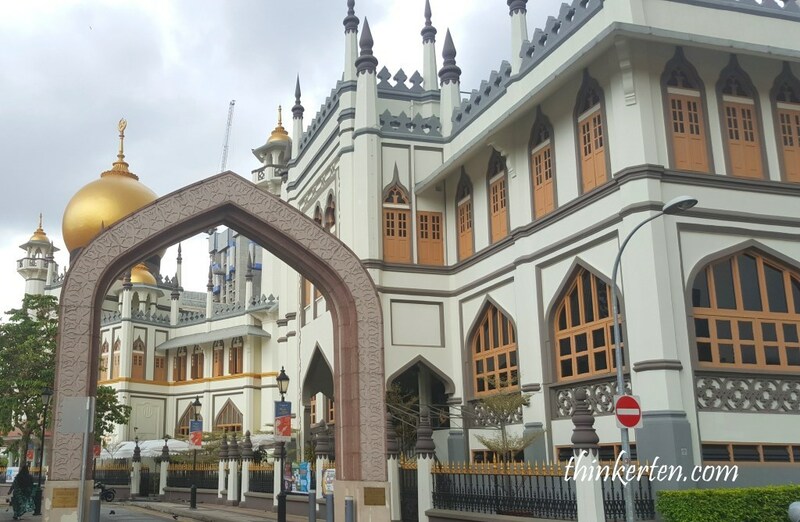 Places of interests are Kampong Glam, Malay Heritage Center/Museum, Masjid Sultan mosque and few colorful alleys around the neighborhood. 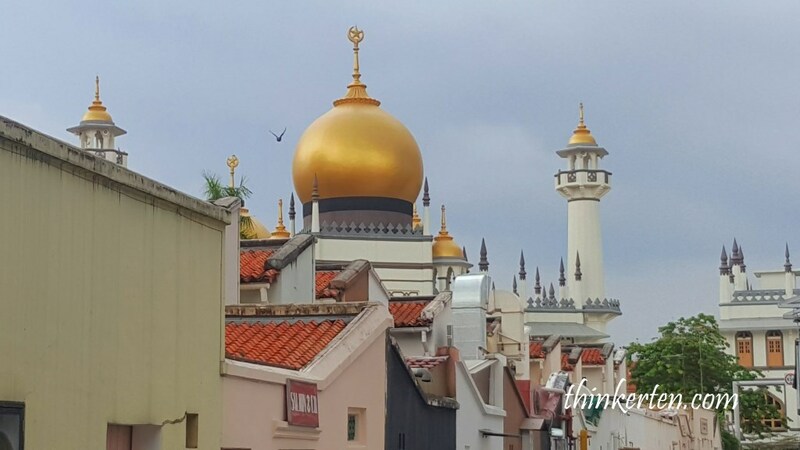 Masjid Sultan is the landmark in Kampong Glam and also one of the most important mosque in Singapore. The 100 years old mosque is named for Sultan Hussein Shah. Visitors are only allowed to enter via the Main Entrance which is facing Bussorah Street. Beautiful architecture for photography lovers at all corners of Masjid Sultan. 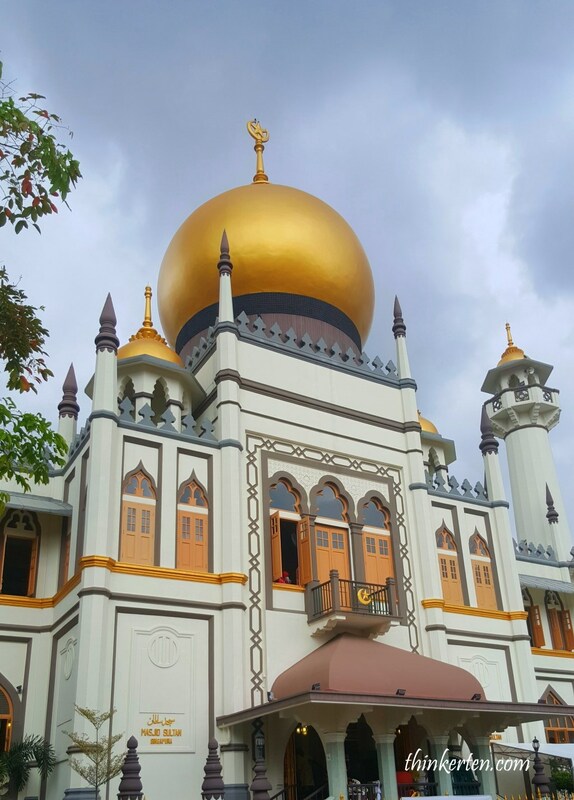 The most striking features of the mosque are its two gold onion domes above the east and west facades. 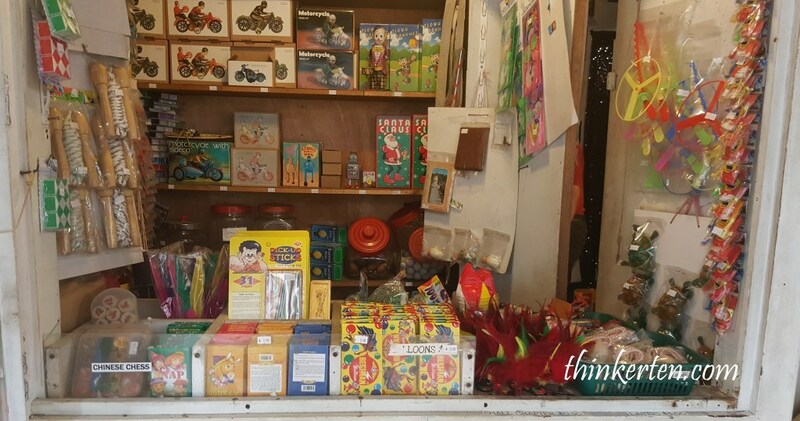 Nearby the mosques, I found an interesting shop in the walking street of Kampong Glam, is worth to go in and have a look at all the old toys from old time. A small admission of SGD $2 if you want to go upstairs which display more of the collections. Outside the shop, there is a small counter selling some old cards game and toy which was popular when I was young. It does bring back my childhood memories. More of beautiful shop townhouses with Malay or Peranakan design. 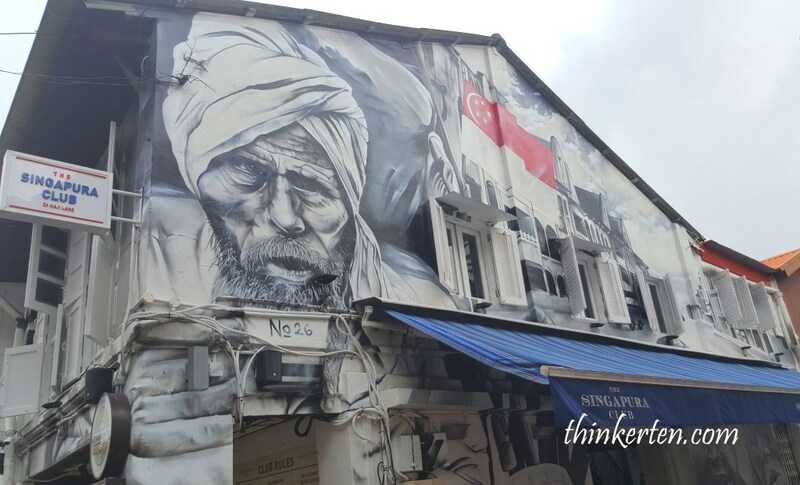 The Malay Heritage Center is a culture museum located in Sultan Gate in Kampong Glam Singapore. The original building was once Istana/Sultan Palace. It is about 2 minutes walk from Masjid Sultan. The museum is small but if you happen to be around the area, just pay a visit as the entrance is free for Singapore Citizen and PR. Foreigner need to pay a small fees to enter, adult cost SGD $6 or Family package (max 5 pax) SGD $ 18. Close on Monday! Click here to purchase ticket for Malay Heritage Center! An elegant Malay restaurant, called Mamanda is situated next to the Malay Heritage Center. It serve Malay cuisine and with nice and quiet ambiance setting. Food is authentic but price is slightly higher than other Malay eateries. If you have friends coming from overseas, this is a good and quiet place to bring them to catch up and enjoy the authentic Malay cuisine. 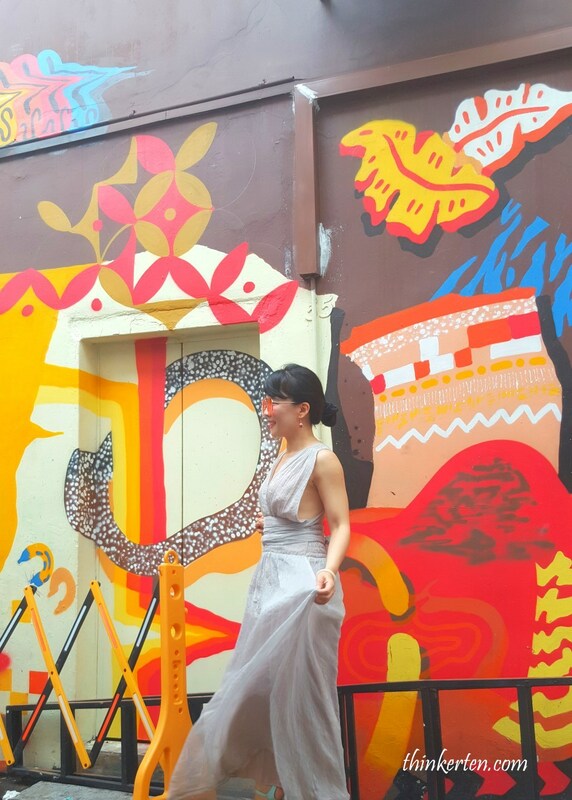 Spotted a beautiful drawn Malay mural near Malay Heritage Center at Kampong Glam. The mural is opposite of the Mamanda restaurant. 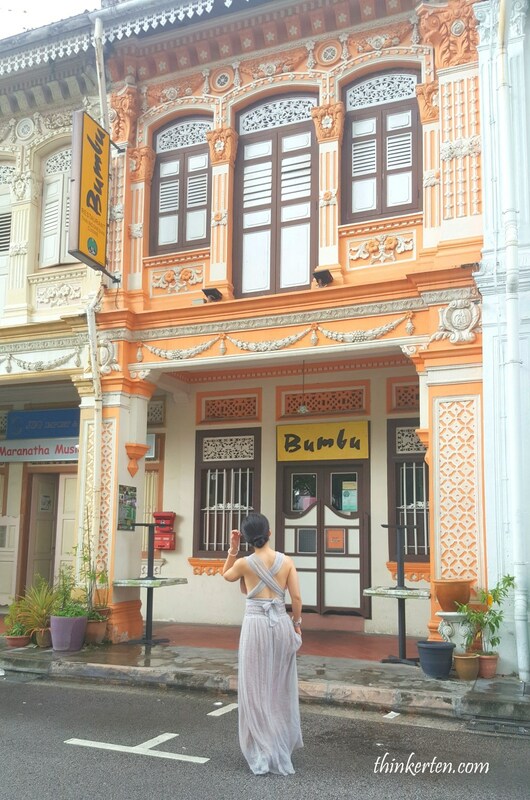 Bumbu restaurant is located at 44 Kandahar Street in Kampong Glam. The townhouse look really outstanding from the outside. The restaurant serves a fusion of Indonesian, Peranakan and Thai cuisine with reasonable price. 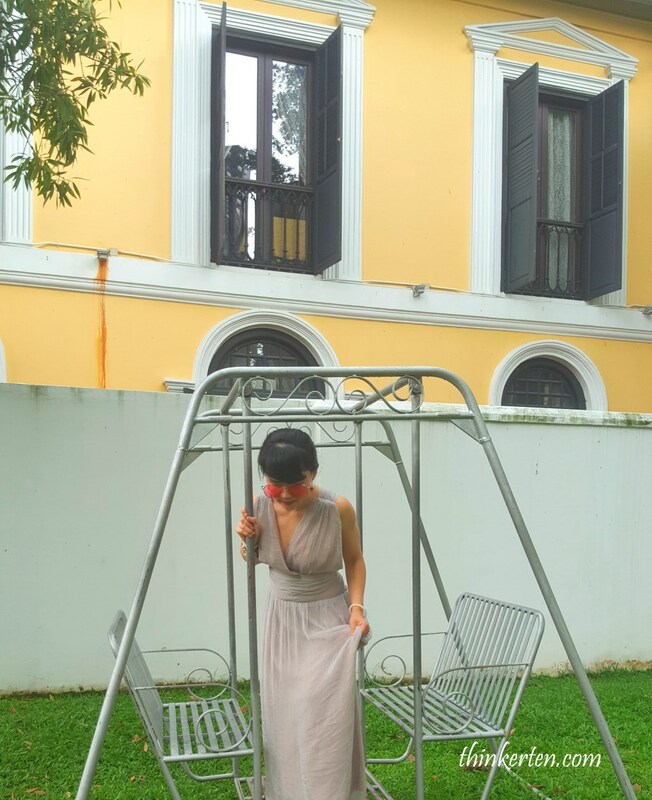 As you enter, you would see the place is decorated with Peranakan antiques and old photographs. Recommended dish are Tahu Goreng & Beef Rendang. 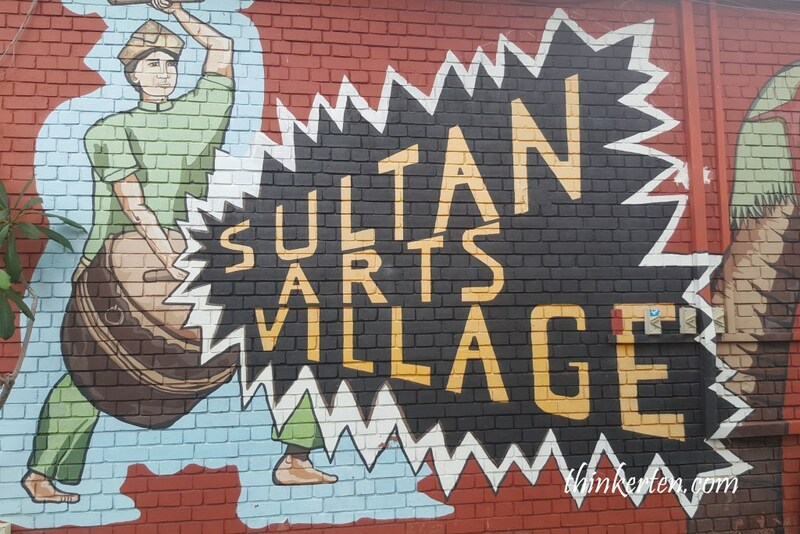 Not only you would find Malay restaurants and Malay shops selling textile and Turkish carpet, you would also find new technologies firm such as IT firm and art and design firms in this new refurbished Muslim quarter. Spotted Masjid Sultan from the neighborhood while I stroll around this kampong area, the Masjid Sultan still stand out beautifully from afar. 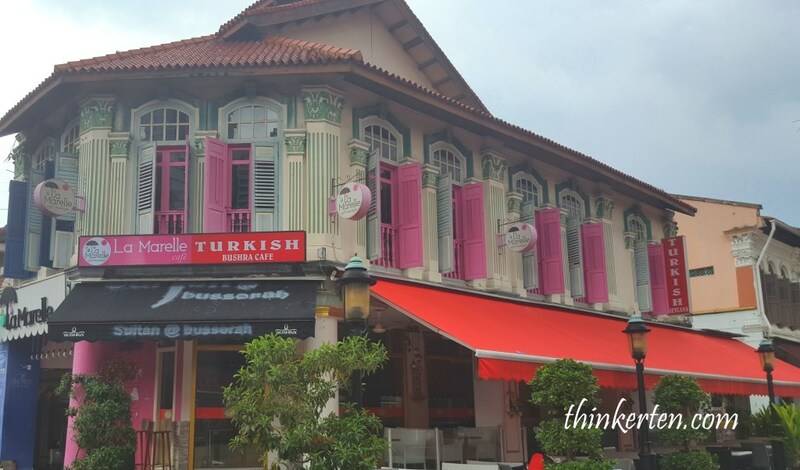 Many Turkish restaurants can be found near Kampong Glam area. There is another Turkish restaurant in Bussorah Mall Walking street looking very beautifully with two big blue evil eyes hanging on top of the door. Blue evil eyes are used for protection against bad luck. Observe the steps to walk up the restaurant is also made of Turkish ceramics tiles and also the Turkish lamps on ceiling. Ignore my Cleopatra’s pose 🙂 Feel like pouncing me? Yes, I feel like pouncing myself for that unnatural pose. Trying to fake Cleopatra but nowhere near. 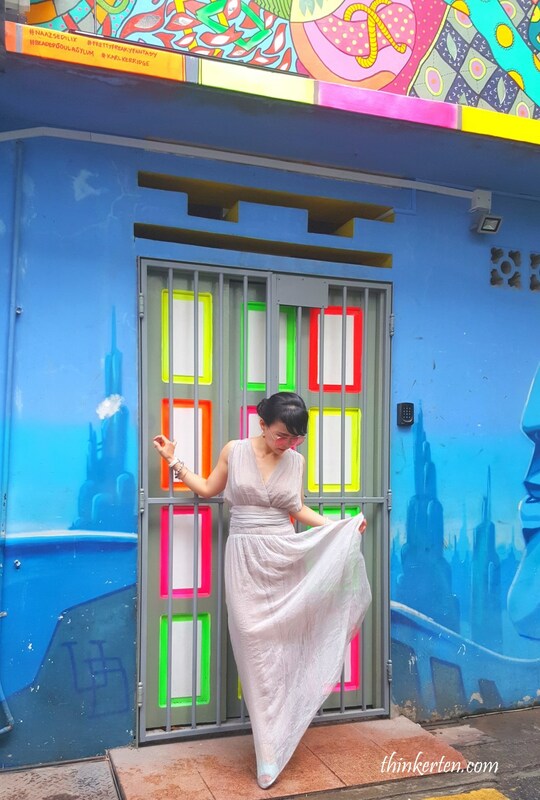 I was actually kind of shock on my recent trip to Haji Land, to see the alleys wall full with art graffiti and colorful street arts. 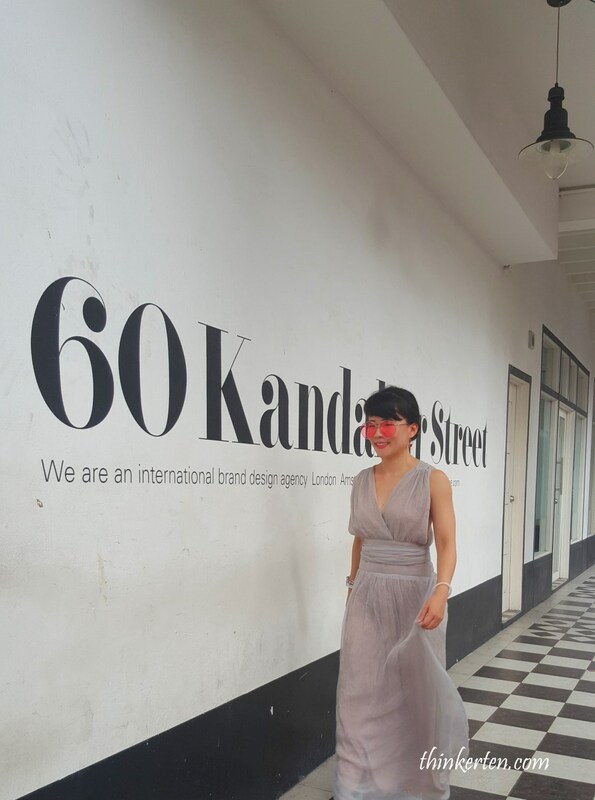 This place is full of vibrant and energy and I was very excited to find out more. The first floor of the shop houses here are mostly open for cafe & restaurant and some fashion boutique. Many young people would love to come here as they would find very trendy outfit and accessories. Colorful chair outside the cafe, great place to catch up with friends. 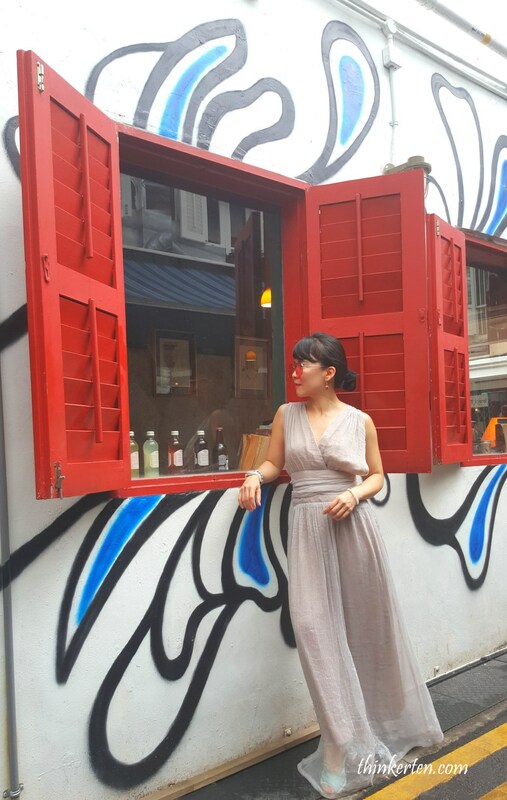 Tourists normally stop by Singapura Club to have a cold beer after hours of walking around the neighborhood. There are also some local and Indian cuisine if you need food to fill your tummy. 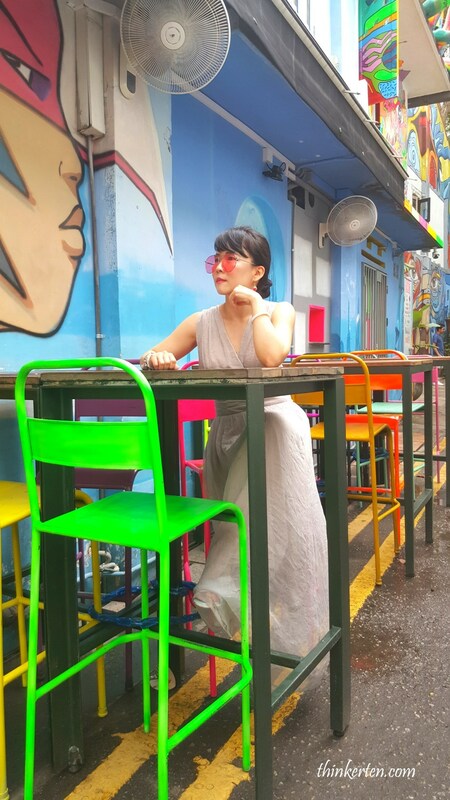 This neighborhood is the hidden gem in Singapore which is filled up with quirky shops, local restaurants and colorful bars. If you have friends coming from abroad, this is a great place to show them around. 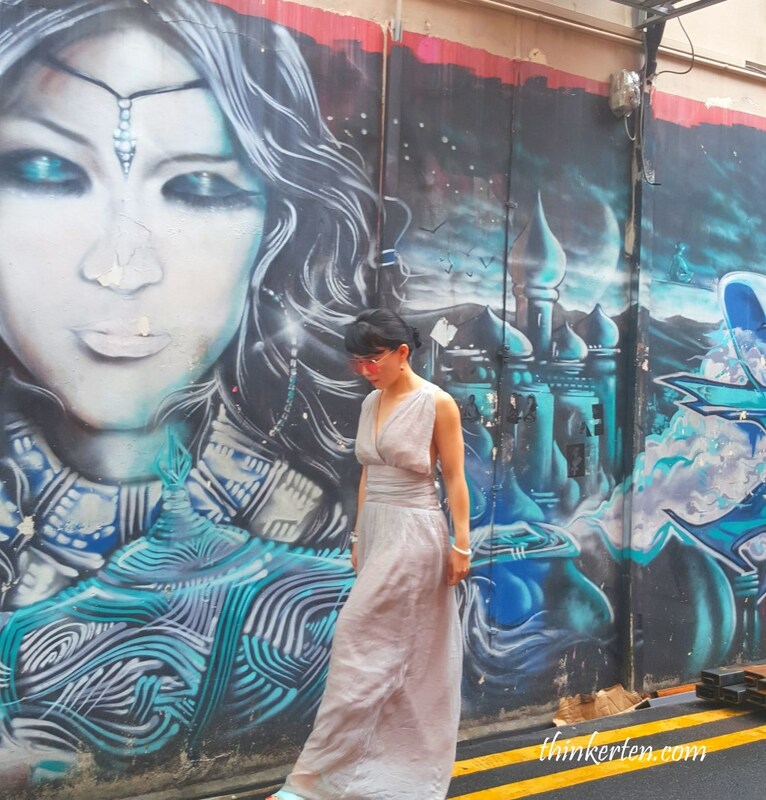 To me, the tiny lane hidden away in the heart of Muslim quarter is a fashionista’s paradise. Come here to shop if you are tired of the shopping malls. Get off at Bugis MRT, use green line/East West line. Today I would like to share some of my fitness & bodybuilding tips. Most ladies only concern about their front abs and other part of their body part that they can see from the mirror. However, the other side of the coin is your back. Back is as important and a huge muscle group, do not ignore your back. Your back is an essential piece of a balanced and it enable you to be functional, to be able to squat and do a plank properly. If your back is weak you won’t be able to perform your squat and plank properly. Not only that, strong back help you with your daily household activities too. Remember, muscle is as precious as gold, we will only losing them daily and to gain them need tones of sweat and clean diets.